accSone's Crusher-X6 is a granular synthesizer and granulize effect plug-in. It houses a powerful algorithm that creates very complex sounds, drones and multichannel effects. Crusher-X transforms pre-recorded or live-audio input radically. 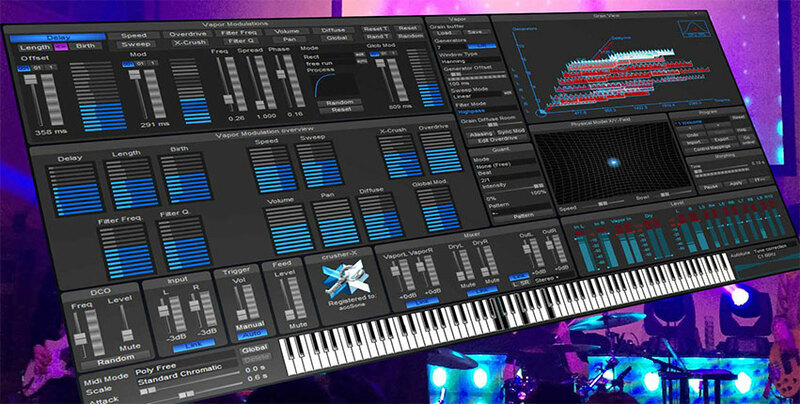 Crusher-X6 has everything you need in a granular synthesizer, that is why it is used by musicians, sound-designers, composers, and film makers from all around the world. The Crusher-X algorithm is based on the traditional granular synthesis algorithm invented in the early 1950s. Crusher-X provides a floating grain buffer which allows real-time input and output. 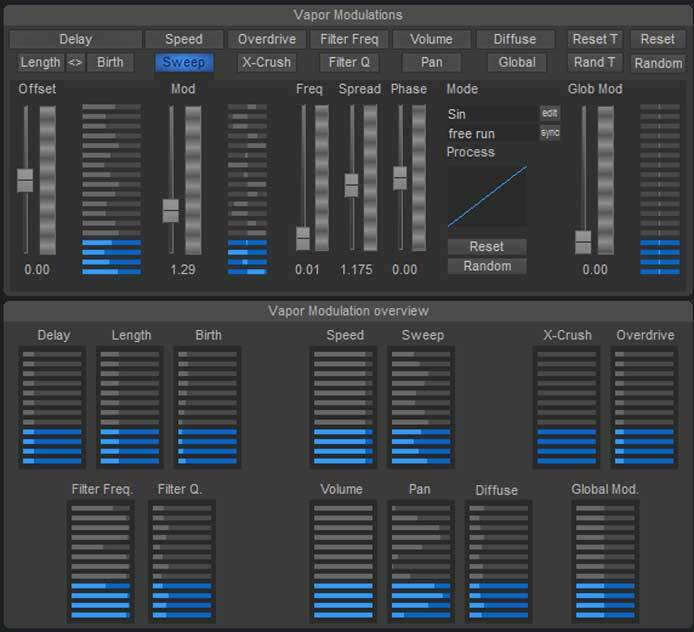 In this floating buffer, the grains are created by several generators routed to several outputs (surround modes) or summed up to single outputs (mono and stereo modes). An advantage to using Crusher-X is, users have the ability to control parameters of the grains such as pitch, filter, pan, reverse, overdrive, limit and X-Crush. These parameters can all be modulated with independent modulation sources and modulation phases, synchronized or not synchronized to the host. The X-Crush parameter is unique in the world of granular synthesis as it applies a ring modulation between the overlaps of grains that follow each other. A feedback loop from the output towards the input generates very complex non-linear sounds. Crusher-X is home to many different modulation modes. Forms such as: Sine, Triangle, Saw and Rectangle are available. Crusher-X goes a step further by providing interesting modes like: Random each Grain, RandLine Sync, Spline and Pitch Tracker. Each modulation is passed through a logarithm to exponent processing. You can adjust the processing curve with the process graph. The graph will show you the resulting processing. All modulations can run independent from the host beat in the 'free run' mode. Choosing a beat will sync the modulation to the host beat. The possibilities of modulation with Crusher-X are endless. 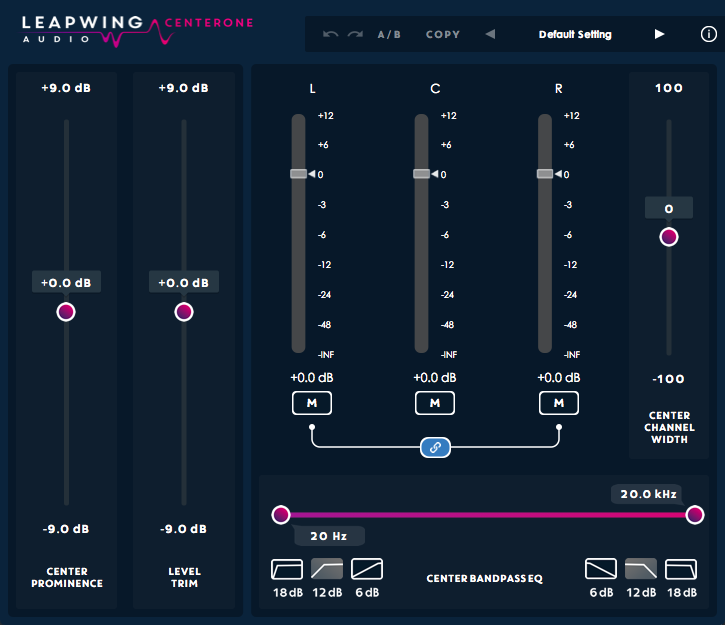 The editor is designed to provide full control over the sound processing features while providing visual feedback of all changes. Most of Crusher-X's sliders can be controlled with a physical-modeling wheel. Just push the wheel with your mouse (hold the left mouse-button down) and watch how the wheel and fader moves. This unique technique allows the user to control the sliders very smoothly and enables you to adjust fast and fine changes just by pushing the wheel slowly or fast. One of the very special features of Crusher-X is the morphing system. Each time you change one or more parameters, the morph system will try to find a smooth transition between parameter changes. With time slider, the user can determine the time between the changes. Morphing does also occur if the user changes single parameters with sliders. Use smaller morph times if you like to have a faster reaction to your changes. There is an extensive list of editor panels in Crusher-X. This gives the user full capability of designing a unique one of a kind sound. One editor panel that helps with this process is, the MIDI panel. The virtual-keyboard can be played by clicking the keys on the screen. Hold down the shift-key to generate multiple keyboards on events. The MIDI-keyboard receiving and the virtual-keyboard is only enabled if MIDI-mode is on. One way to take advantage of MIDI-mode is to use it in conjunction with the scale function. You can select a couple of scales that filters out keys that are not part of the scale, very useful for a musician of any skill level. The selected scale is also used to determine the autotune pitch correction. 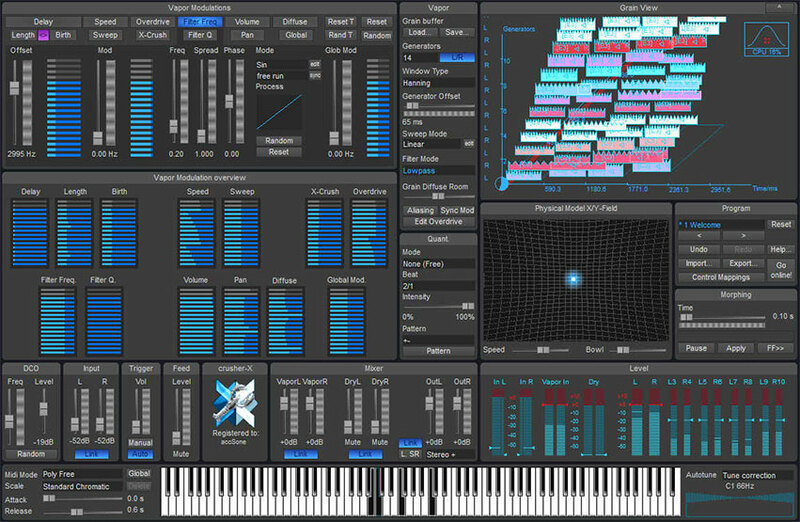 Crusher-X is a very powerful granular synthesizer. 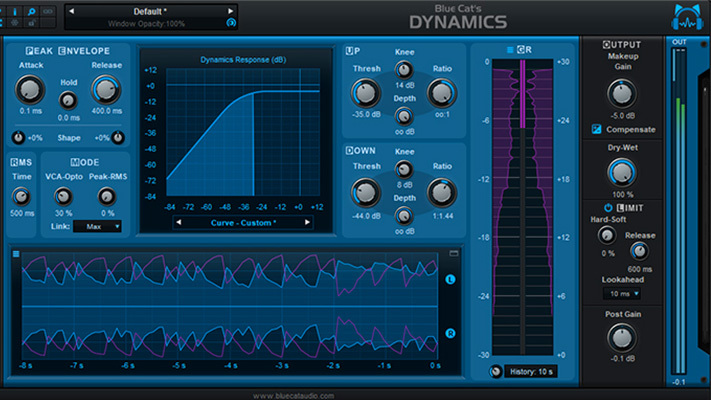 A beast with many functions giving it a top spot on the list of granular synthesis plug-ins. 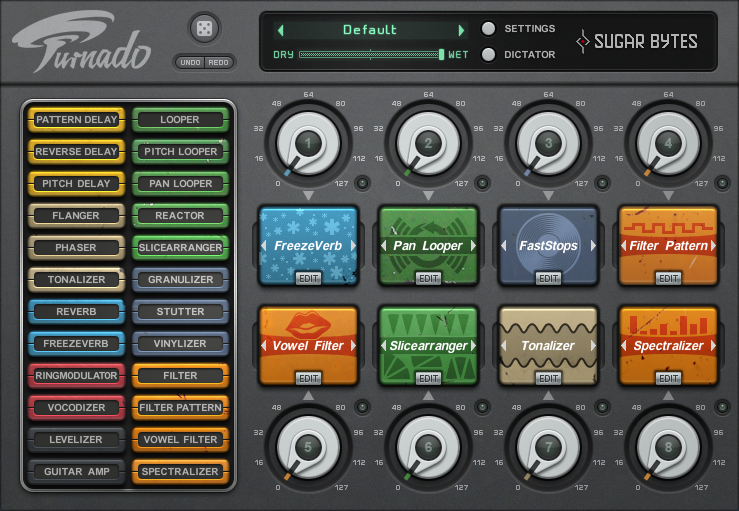 It is extensive in its functionality, intuitive with its editor panels, and fully customizable, giving the user an endless amount of options to create, design, and play sound. Reasonably priced, accSone's Crusher-X6 is available for Mac and Windows operating systems in VST and AU plug-in formats. Since 1999, Crusher-X has been known as "the granular effect standard that allows a very deep control of grains and layered grain-streams in real-time." 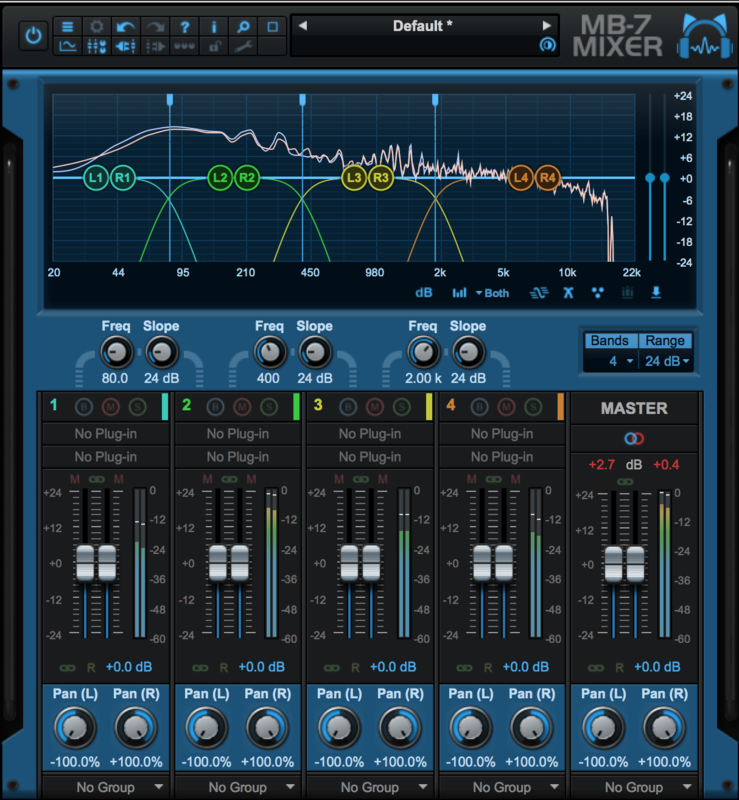 Crusher-X is a VST/AU compatible with both Microsoft and Mac operating system. Crusher-X6 is the latest installment of the Crusher-X family, and also, my first time with the program. I have used granular synthesizers before; however, the functionality of Crusher-X blew me away. As I am not an expert of granular synthesizers, I always find it quite daunting when opening up a new program and seeing a plethora of faders, sliders, and buttons scattered around with, what seems at the time no purpose or reason. Crusher-X did not give me that feeling. The interface is very intuitive. It is comprised of editor panels, each one labeled and organized neatly, allowing the user to have an easy of use whilst performing functions and modulations. I was able to open the plug-in and start utilizing all the great features right away. The plug-in gave me inspiration and a new path towards creative ideas. The song I was working on was sounding mundane and formulaic, that is, I felt like I've been there and already created what I was currently working on. As soon as I applied a preset from Crusher-X to one of my tracks, it gave my song a new breath of life. 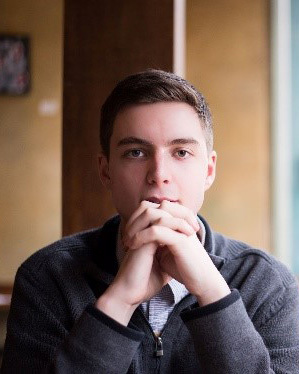 Crusher-X changed the direction of the song and gave me new creative ideas, all through a preset. After going through the presets, here are my personal top five: AutisTune, Pasta, Why Waiting, Deep Shining and DCO Pattern. Presets are easy to manipulate and make your own; however, the presets lay down a really good foundation to work off of in the beginning. Aside from my DAW crashing once while having 4 instances of Crusher-X open at once (probably a cpu-usage problem on my end), Crusher-X ran perfectly and was very fun and inspiring to use. I think it is incredible when a plug-in has the ability to spark creativity and new ideas in its users. The X-Crush granular parameter. It adds a special asymmetric ring-modulation transformation feed by the overlap of each grain with its successor. This parameter allows you to create subtle ringing effects and the way to extreme phase and distortion sounds. In my opinion this is the perfect parameter to play around with if you are using a guitar with Crusher-X. I found it gave my guitar a synth like feel provoking new ways to approach the guitar. The sweep granular parameter. 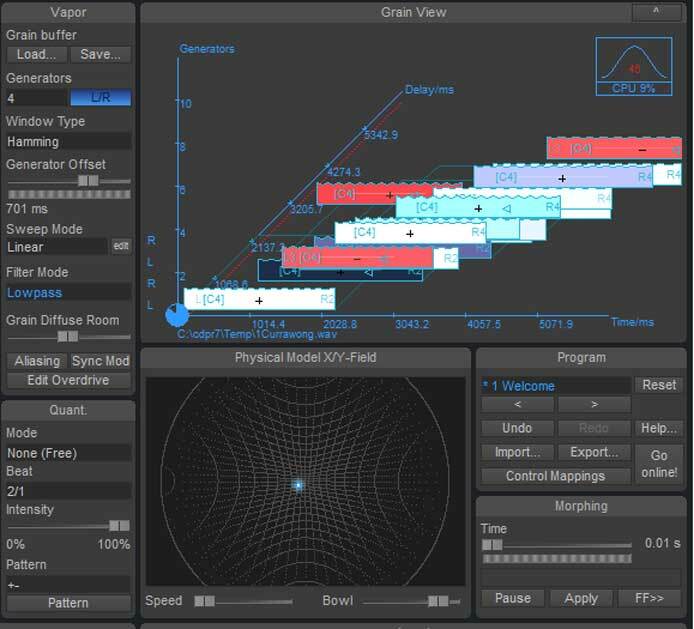 This parameter gives the user the ability to perform sample accurate pitch shifting modulation due to a linear or editable spline or step function. I found this function to be very useful with building up a beat. The perfect parameter to create an impressive drop within your song. 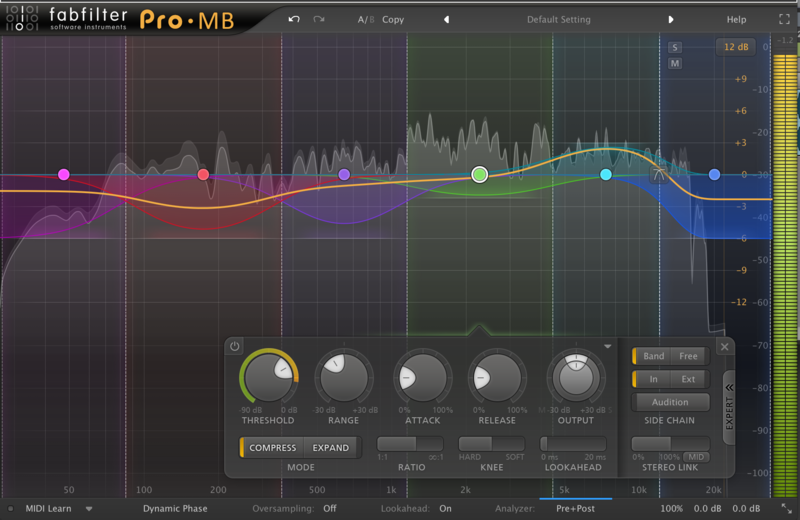 I use this parameter mainly on my bass or percussive sounds. Pitch Tracker and Autotune system. All of the granular parameter modulations can be controlled by a pitch tracker and autotune system that tracks the pitch of the input channel in real-time, transform the pitch by a selected scale and modulates an emphasis or compensation towards the grain pitch. This function is beyond useful. I was very impressed with how accurate and easy to use this system was. It is what gave my samples new life. It makes your sample or instrument sound filled out and unique. I find myself using the pitch tracker and autotune system with almost every instance of Crusher-X I open. The MIDI keyboard functions. Control the grain pitch and volumes with a MIDI keyboard. Scales can be applied to filter out 'wrong' keys. If you own a MIDI keyboard, it is easy to jump into Crusher-X and start manipulating parameters using it. When playing out parts the scale function is beyond useful. The scale package contains thousands of historical, experimental, microtonal, and exotic non-western intonation scales. If you are an average key player like myself, then the scale function is perfect for you as it filters out the 'wrong' keys ensuring that you stay within the musical key of your song or track. Most of the Crusher-X's sliders can also be controlled with a physical-modeling 'wheel' on its right side. For supporting your live performance, import several programs and assign the Reset button to a MIDI-Controller. This enables you to switch back to the initial sound immediately after changing several parameters. The 'pitch tracking' system gets its audio input from the left input channel. The Vapor and the Dry faders are also morphed by the morph system which allows smooth fading and muting. Don't expected to save what you hear; the content of the sound buffer is saved; not the output from the grain generators. The 'save' button saves the current buffer into a .WAV or .AIFF sound file. Increase the 'generator offset' to generate strange melody-effects while using longer grains which don't overlap. Using steps with longer grain lengths will lead to very interesting melodic sequences. The tempo of the sequence is bound to the grain length. Use it in combination with a grain length modulation. 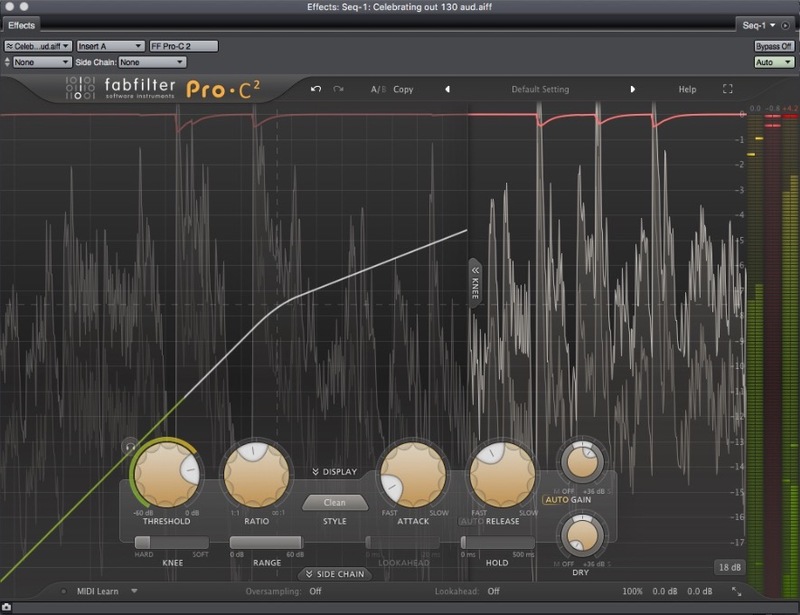 Use the feedback together with the Delay, Speed, Filter and Sweep parameter to create dub like effects. Use the 'random' button together with longer 'morph' times to generate strange FM sequences. The voices of the "synth" are the grain generators. That means you can determine the maximum of used voices by setting the generator count in the vapor panel. 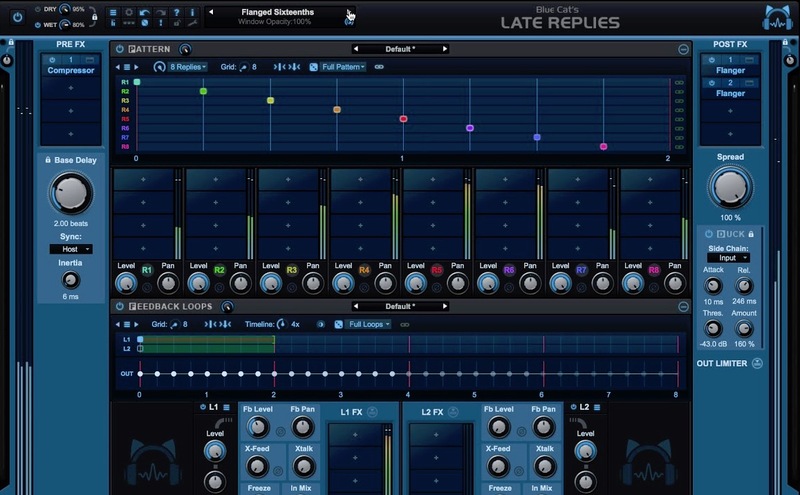 Combine the Autotune system with additional MIDI events or speed modulations to create chorus effects or tuned accords. Add small 'sweep' modulations to create 'living crowd' chorus or 'darth vader' effects. Use several 'steps' modulations with slightly different step counts to create repetitive but dancing modulations.